Chicago, Illinois, has a chronic inflated state problem disguised as a schooling problem. In order to eradicate the symptom, Mayor Rahm Emanuel has decided to attack those who suffer from it and not the actual root of the problem — adopting a classic “more of the same” approach. 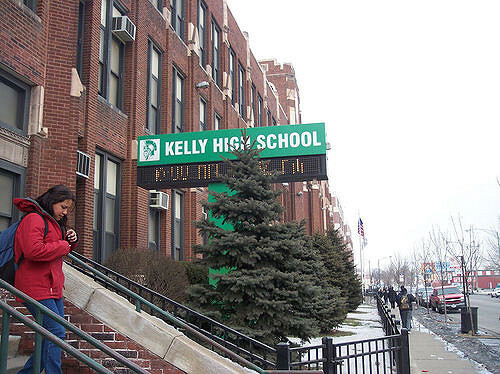 In the scenario Chicago’s mayor envisions, students from the poorest areas of the city, where many parents are often absent due to their work schedules, problems with the law, or other issues, children nearing the end of their senior year will have to head to a counselor’s office for advice on which path to take if they want to obtain their high school diplomas. Unfortunately, in many of the schools in those areas, counselors often work with 400 students at a time. With few resources to offer sound advice, these students will be forced to do whatever seems easier, less complicated, and perhaps less burdensome in order to meet the new requirements. As such, many will enlist in the military while others will head to already crowded city colleges. The other obvious consequence of this policy is that many students will simply postpone graduating or completely give up on it. In no time, Chicago, whose population already suffers due to poverty, high crime rates worsened by a suffocating anti-gun agenda that hurts blacks more than anyone else, and the ongoing drug war will see yet another problem gradually taking over. As young high school students feel uncertain of their future, they will have no incentives to pursue their own individual paths. Instead, they will turn to those that are readily available. As a result, many of the poorest kids in the city will likely take up crime, whether on behalf of the state — by joining the military — or on behalf of a drug cartel that wouldn’t exist without the U.S. government’s war on drugs. This entry was posted in Civil Rights, Corruption, Economics, Education, Government, Human Rights, Military, Racism, Social Justice, Unions and Organized Labor, Women's Issues, Workers' Issues and tagged Atrocities, Chicago, Civil Rights, Corruption, Economics, Equality, Human rights, Income Inequality, Military, pensions, public schools, Racism, Rahm Emanuel, social justice, teachers, Unions, Women's Issues, workers' issues on July 9, 2017 by ew.